ENJOY THIS PROJECT THAT I MADE IN KITCHEN OF OUR FORMER HOME! 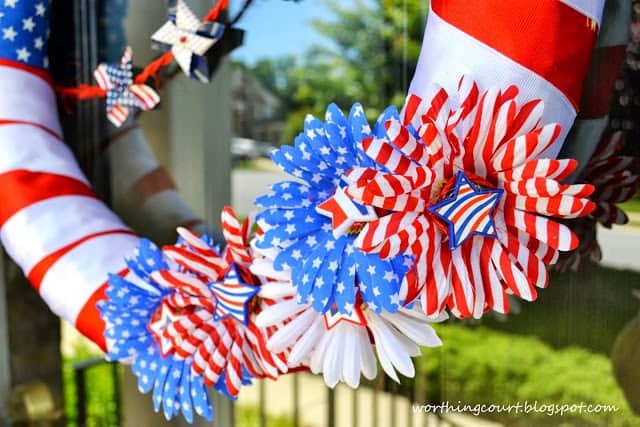 Happy Memorial Day, my friends! I hope you all have had a fantastic, fun and memory making holiday. Personally, I’m feeling a little mushy today. In church yesterday, our pastor took a moment to honor those who have served our great country and to remind us of what Memorial Day is all about. It caused me to stop and think about all of my family and friends who have served in various branches of the Armed Forces. I guess it’s something that I’ve always taken for granted and never really thought about very much. I was surprised at how many there were! My mother, father, grandfathers, uncles, aunts, my brother and many more. Even my Pookie served as a Marine for twenty years. I’m so thankful and proud to be an American. We are so blessed to live free. How can we ever thank the men and women who fought (and still fight today) for that freedom and the sacrifices of their families? Yep, I’m one of those. A die-hard, flag-waving, pledge-of-allegiance-saying, Star-Spangled-Banner-singing, mushy-with-patriotism, red-blooded American. And I’m happy to admit it! OK – enough with the mushy. 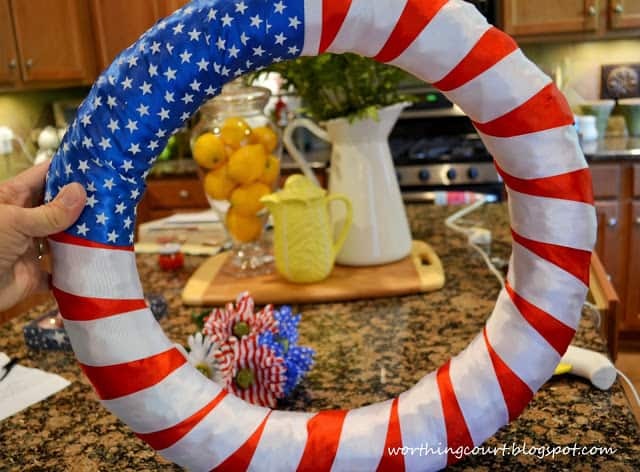 Let’s talk about this easy to make wreath. 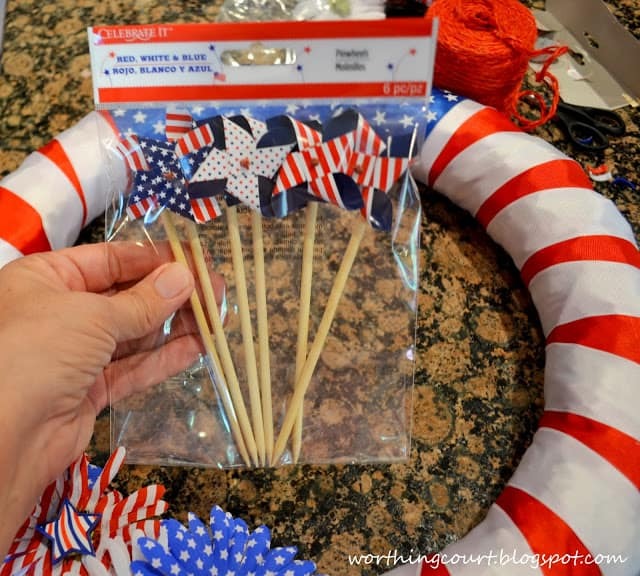 All of my supplies, except for the straw wreath, came from the dollar store. 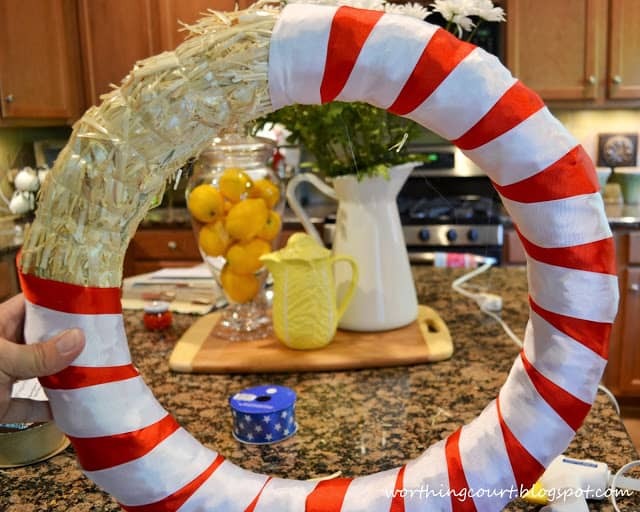 I started with a straw wreath and wrapped it with red and then with white ribbon. …so that I could finish it off with stars. I cut the stems from some faux florals and hot-glued a group of them opposite the stars. They needed a little something, so I snipped off the back of some plastic rings and glued one to the middle of each flower. It still didn’t look quite finished, so I glued a few mini pinwheels to some red twine and stretched it across the middle of the wreath. 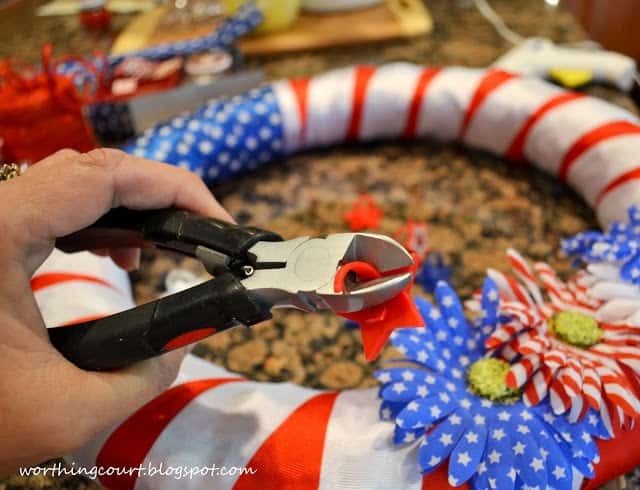 The mini garland was attached with a spot of hot glue to the back of the wreath. And I’m really, really pleased with the end result! 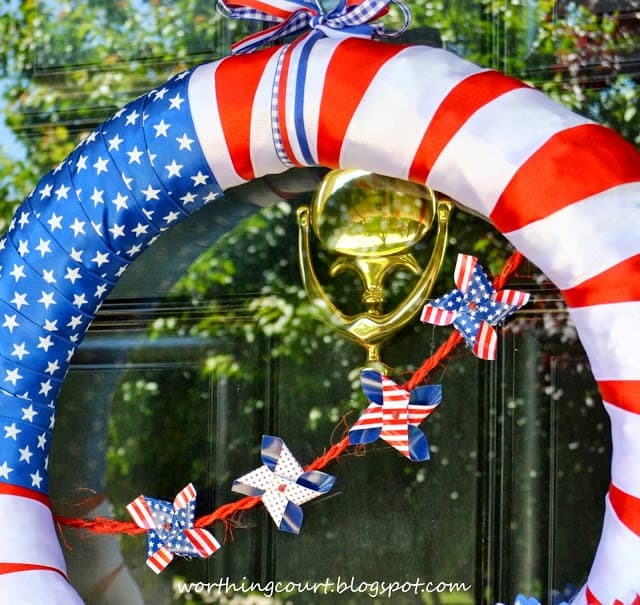 I’ll be able to proudly display my wreath for years to come for Memorial Day, Flag Day and Independence Day. I might even leave it up all summer! 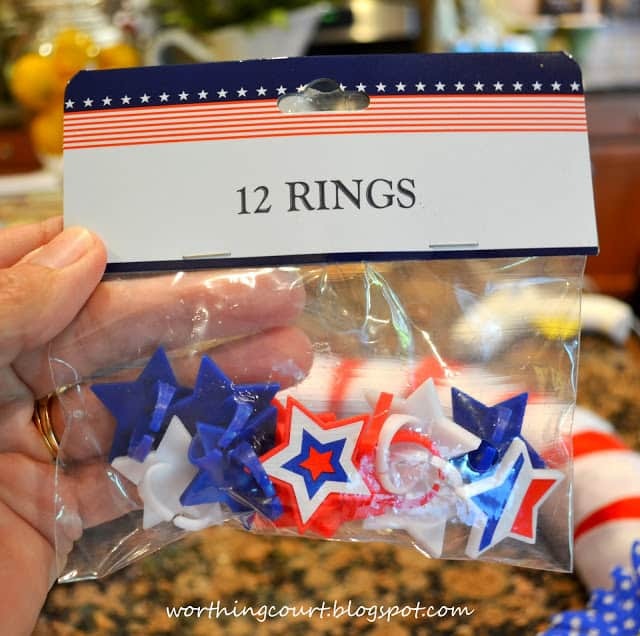 Super Easy Patriotic Banner – No Sewing! 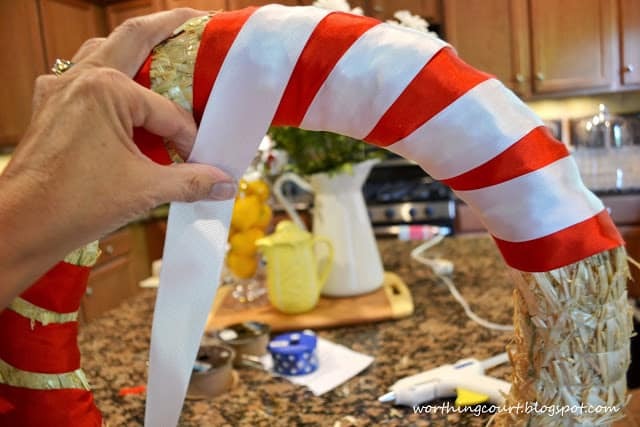 Easy Peasy DIY Banner Garland – No Sewing And No Template Required! 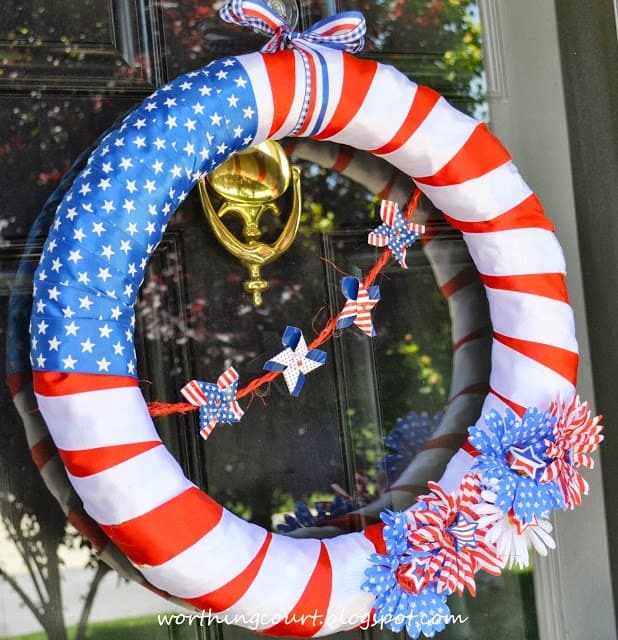 Very pretty Suzy…you are inspiring me to make a red/white/blue wreath for the summer!!! 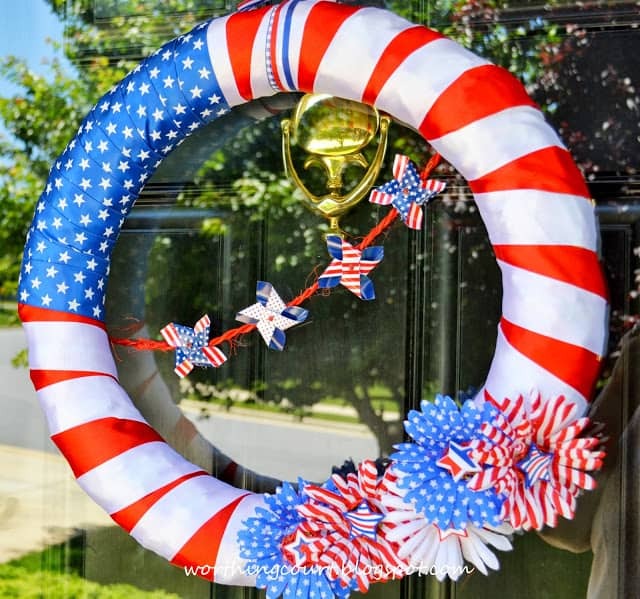 this is an awesome summer wreath! 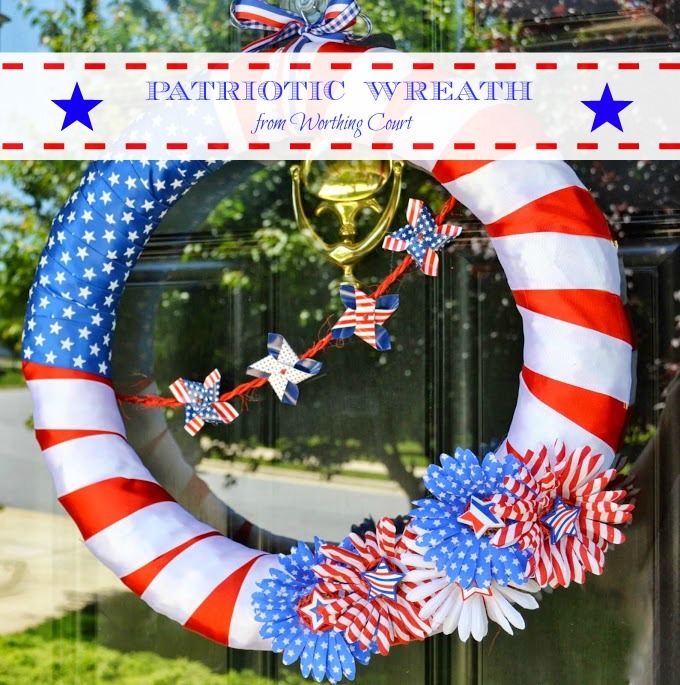 Your wreath is Red, White and SPECTACULAR 🙂 Okay, blue too. Excellent job Suzy! I’m with you all the way on your patriotic feelings! Ah! Easy peasy and Oh so cute! I saw those daisy flowers at Michaels yesterday and almost got some. Time to head back! LOL! Love this!!!! So pretty! I am so glad I stopped by. I am hosting a giveaway via Arcadian Home on my blog. It would be great if you could stop by. Have a lovely day!